students that everything their bodies do — both voluntary and involuntary — is orchestrated by the brain. 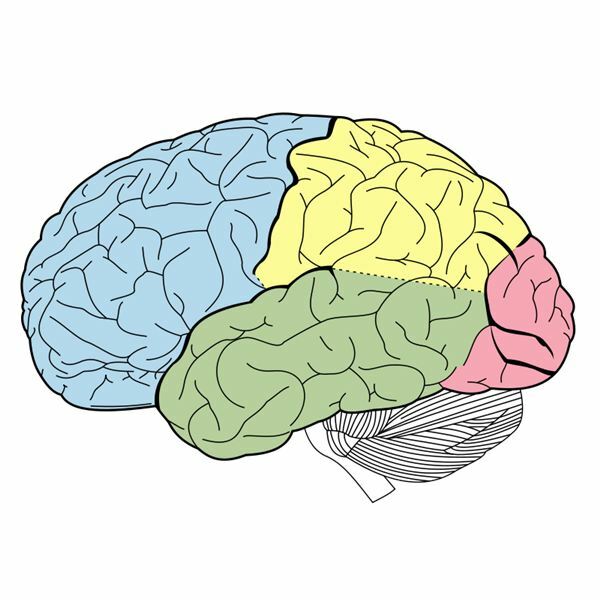 This first lesson plan on the brain will cover the different parts of the brain: the cerebrum, cerebellum and brain stem. Students can benefit greatly from the use of visual aids when learning about the brain. One option is an interactive model, in which the different brain lobes are colored coded so that the students can take it apart and see the internal brain structures (another anatomy lesson). Another option is using a preserved brain. Check with your school's lab department if there are any available. Many times, they will have a sheep's or pig's brain, so use a plastic model of a human brain to explain the difference in size. When holding a preserved brain, use gloves to protect your hands. If you cannot obtain a 3-D model, use an image of the brain that identifies the lobes with different colors. The longest part of the lesson will be explaining the cerebrum, which is the largest part of the brain. Using an image of the brain that isfrom a superior view (top of the brain), show the students that the brain is divided into two sections — a left hemisphere and right hemisphere. Note that each hemisphere has four lobes: frontal lobe, parietal lobe, temporal lobe and occipital lobe. 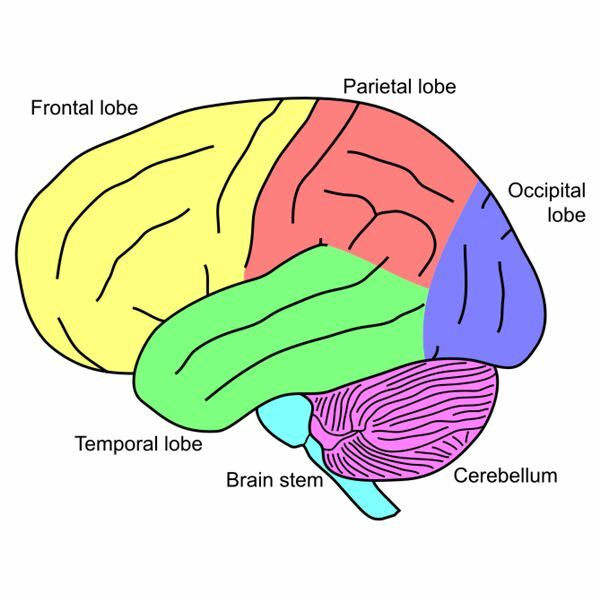 Use a lateral image (external side) of the brain to show where each lobe is located. The difference between the left and right hemispheres and the function of each lobe will be different lessons. Next part of the anatomy lesson is explaining the location of the cerebellum. 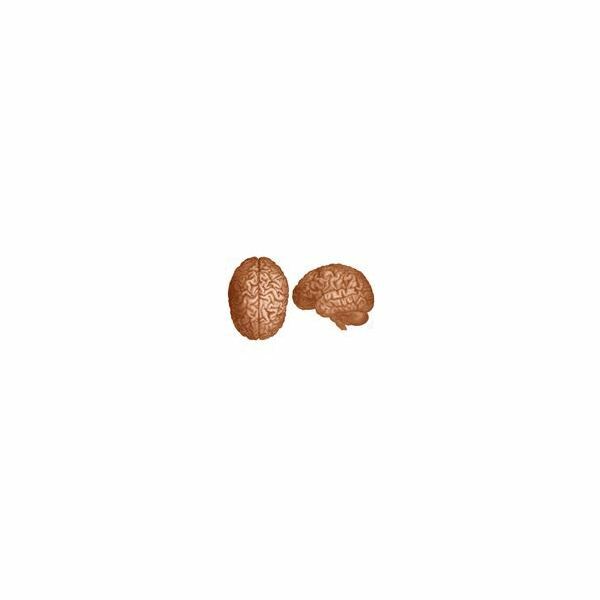 Point out to students that this is the second largest part of the brain. Using the model or image, show the students how the cerebellum is below the occipital lobe, and how it looks different from the cerebrum in its outer layer. The last part of the basic brain anatomy lesson is the brain stem. Show students how the brain stem connects the brain to the spinal cord. Note to them that while the brain stem is much smaller than the rest of the brain, it is a very important part of the brain. Ask the students to define their spatial relationship, using the newly learned anatomical terminology. Check to see if they comprehend and can apply it. Students can also refer to the accompanying study guide for further review. Washington University of St. Louis School of Medicine: The Internet Stroke Center. Lesson Plan: How Does the Brain Work?